Tribal designs are really popular right now. 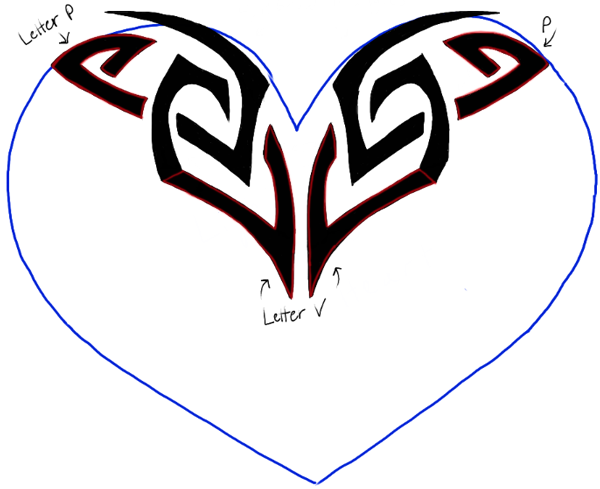 If you would be interested in learning how to draw a tribal heart tattoo design…then this drawing tutorial might make it much easier for you. This lesson will guide you thru these steps in a simple geometric shape style. Have fun! 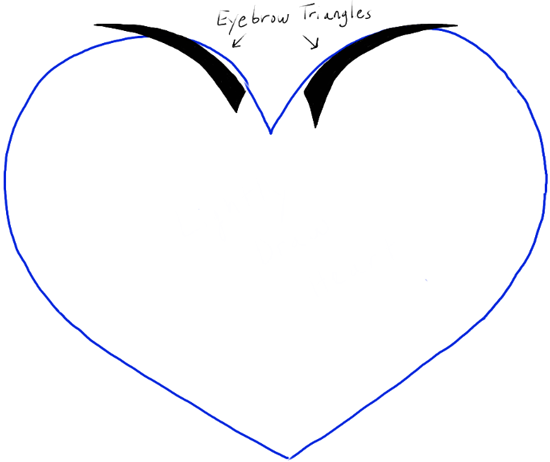 Haha….draw eye brows at the top of the heart – or curved triangle-like shapes. 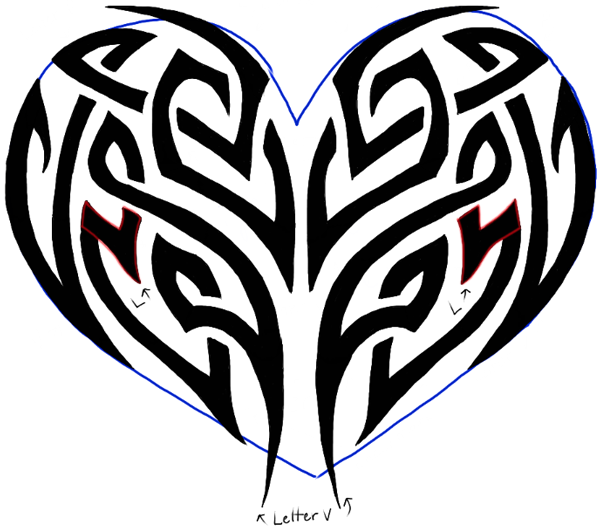 – Draw letter ‘L’ shapes and #7-like shapes inside the heart. – Draw letter ‘P’ and letter ‘V’-like shapes. 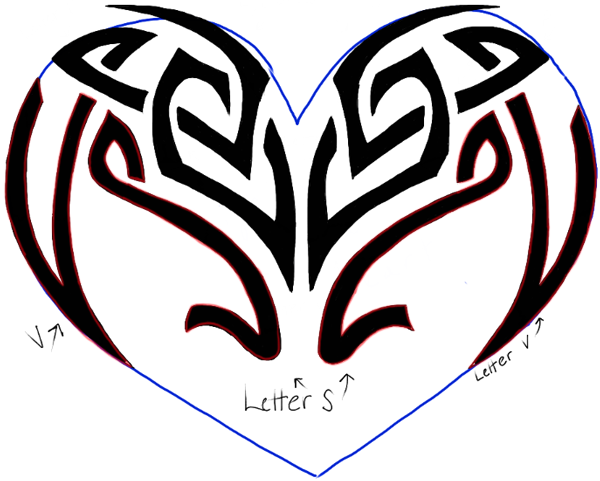 – Draw letter ‘S’ and letter ‘V’-like shapes. – Draw a triangle shape on the corner of the letter ‘v’ shape from the last step. 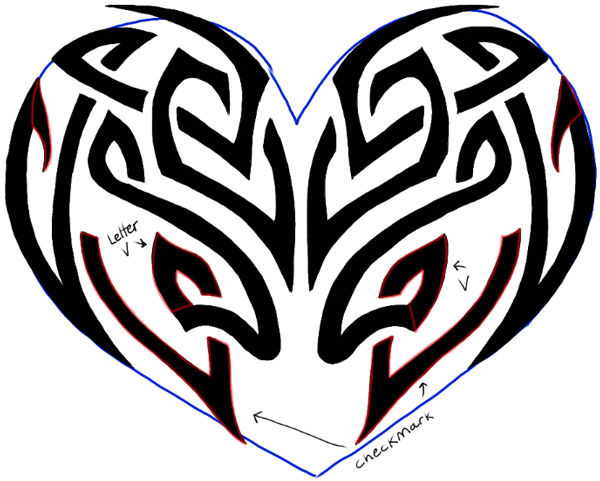 – Then draw a check mark shape at the bottom of the heart. – Draw a letter ‘V’ like shape at the bottom of the letter ‘s’ shapes. – Then draw sideways letter ‘L’ shapes. 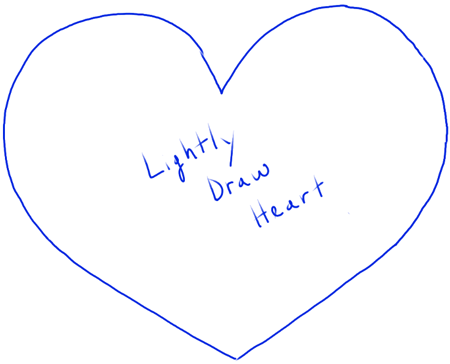 – Then draw a triangle-like shapes at the very bottom of the heart. Now erase any guidelines that are left on the heart. 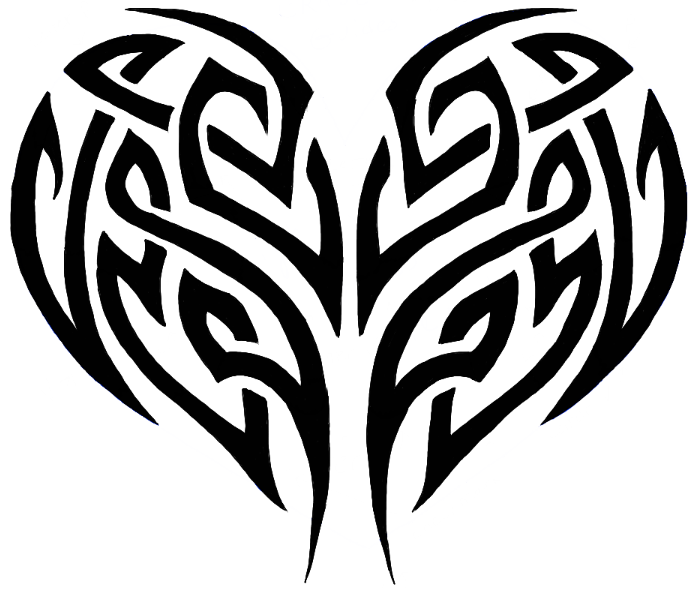 You now have a beautiful tribal heart design that you can show off to all of your friends. I hope that you enjoyed this drawing tutorial. This is hard but thanks?? 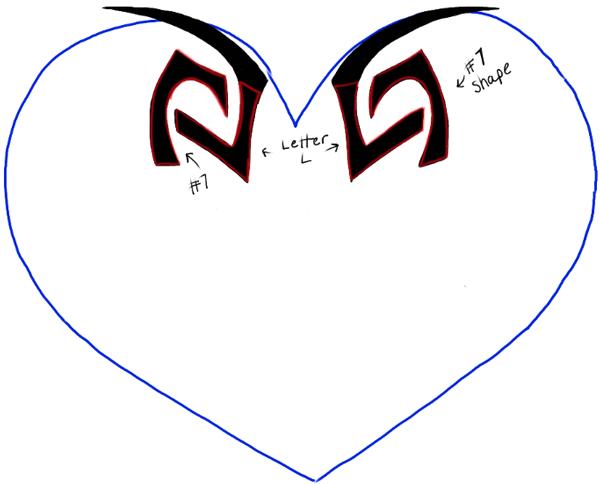 This article was written on 24 Mar 2014, and is filled under Things and Objects, Tribal Tattoo Designs.